WE'VE always considered those spectacular coastal blowhole things to be a somewhat pretty permanent kind of local attraction – almost put there by area tourism authorities to lure the curious to hang around sufficiently long to have need to part with a few dollars. So we were surprised when fellow travel writer, John Rozentals told us how he drove down from Sydney to Kiama to look at its famous Blowhole on the South Coast, only to find that the day he got there "it wasn't working." "It was," says John, "somewhat anti-climactic. 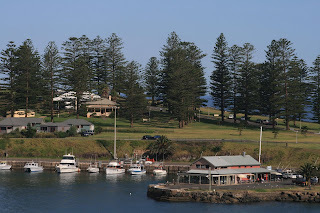 Yet it proved most fortuitous, because had it been working that day, we'd most likely have taken a few photos, ticked it off our must-see list, and continued on our way... quite possibly never to return to Kiama again. "Instead, we decided to seek out what else it had to offer ... and found attractions that have drawn us back time and again, both to enjoy ourselves and to show off to overseas visitors." 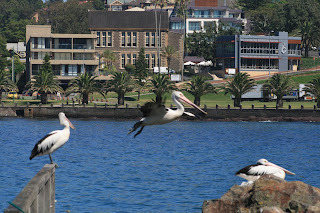 Just a couple of hours drive south of Sydney, Kiama is historic, charming and well-preserved. Explorer George Bass was one of the area's first white visitors when he sailed there in 1797… and was reputedly the first white man to see the "Kiama Blowhole." This bizarre natural oddity is caused by large waves rushing into an underground cavity when tide and current are just right, and compressing the air inside which in turn forces the water within to escape outwards and upwards through a hole in the rock as a magnificent waterspout surrounded by a halo of spray, and accompanied by ominous thundery crashes. Following what Bass wrote about his other discoveries, cedar gathers quickly moved there, while farmers established one of our earliest dairy industries at Kiama – and our first dairy cooperative. Old churches, the magnificent Italianate post office, and many historic commercial and municipal buildings still retain a grand 19th century solidity about them… as does the sandstone-lined harbourside walk that on weekends hosts a bustling market. John Rozentals says Blowhole Point provides a magnificent vista regardless of whether or not the sea is running high enough to give the blowhole a workout. "There's also the Pilot's Cottage Museum that's a fascinating insight into the town's maritime, agricultural, commercial and human history," he says. "And there are pelicans awaiting the scraps from fishermen cleaning their catch, while the fishermen's cooperative store in an excellent place to buy freshest fish, oysters and prawns. "And a couple of visits we've made to Cargo's Restaurant, on the nearby wharf, have been very rewarding," he says. "It has the freshest seafood, attentive but not overbearing staff, and its position is to die for." A few blocks away is a run of weatherboard houses built in the 1880s to house quarry workers and their families and called Kiama Terrace. 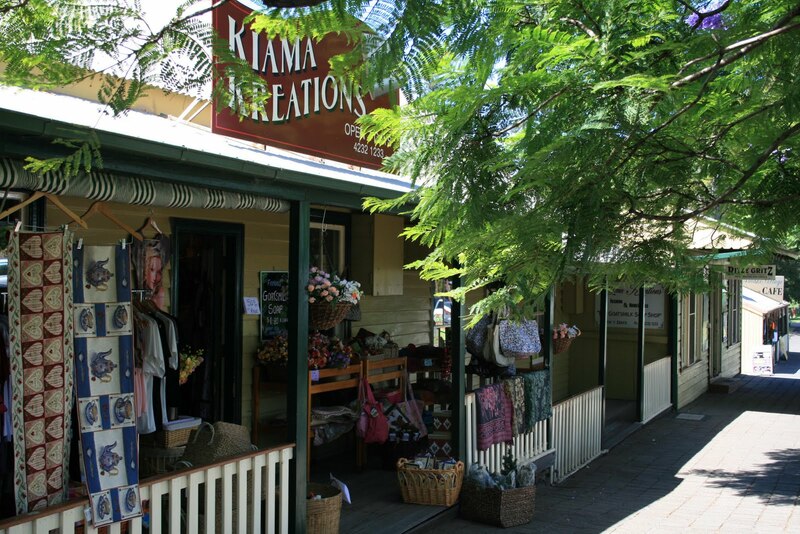 "They're thought to be Australia's oldest weatherboard terraces and were saved from demolition to become a quaint precinct of restaurants and shops. "And Kiama's got a good range of caravan parks, seaside cabins, B&Bs and motels, with pride of place going to the substantial Sebel Harbourside development on the prize strip between the town centre and waterfront," he says. "It's sympathetically incorporated one of Kiama's crown historic jewels, an 1889 bluestone 2-storey schoolhouse, into an otherwise modern complex of accommodation, restaurants, bars and shops that really is above expectations. "The rooms are well equipped and comfortable, with many having wonderful harbour views, the staff is exceptional and the location the best in town. Part of the old schoolhouse is a community-based art gallery, and other parts conference or meeting rooms." Other attractions in the area include Minnamurra Rainforest with its Rainforest Centre, a 1.6-kilometre boardwalk offering sensational views over the Illawarra escarpment, and access to more than 400 hectares of rainforest. There's also Jamberoo, an historic village established in the 1820s as part of the timber industry, while Gerringong just south of Kiama is renowned for its surfing beaches, fishing... and as the hometown of Mick Cronin, one of Australia's greatest rugby league players whose family has run the local pub since the 19th century. CARGO'S Restaurant: you can't get closer to the water than this. 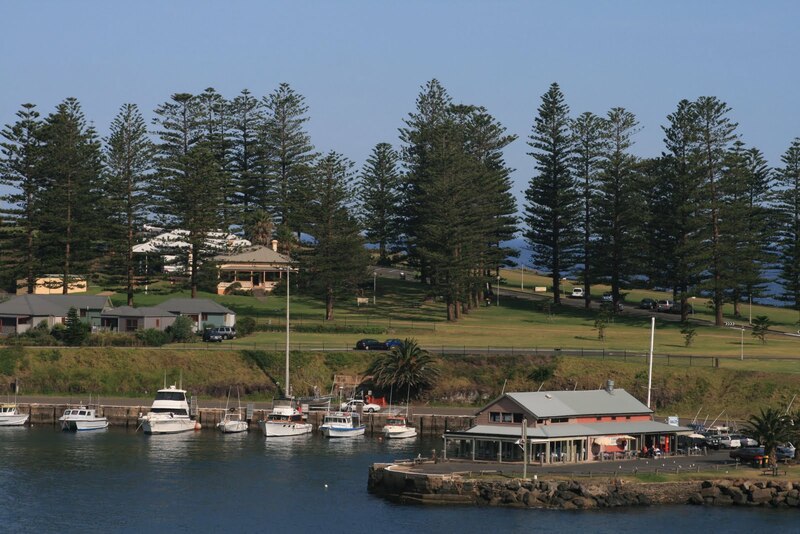 ROOMS with a view and incorporating an historic 1889 bluestone schoolhouse: Sebel Harbourside Kiama. SAVED from demolition, these 1880s quarry workers' terraces are now picturesque restaurants and shops.